After a breakup, Josh is once again on his own, wondering if he'll ever amount to anything or find someone who truly loves him and can handle his shy, damaged self. There's one man he can always call on for help, and soon he's staying with his dear friend Luther once again. Living together brings back old feelings for both of them, their one disastrous date attempt notwithstanding. Should they try again? 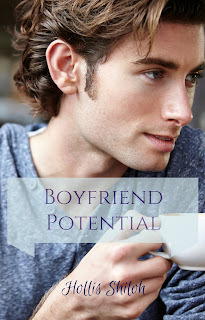 Is Josh too damaged or will he finally find a man to love for the rest of his life? This gay romance contains characters from the Max and Jamie books. It can be read alone. Let me know if you read in a different format or need a review copy!